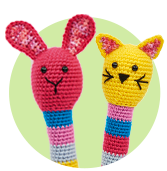 Knit or Crochet for Wildlife Rescue... | Top Crochet Patterns is a non-profit project that encourages knitters and crocheters to make a woolly nest for wildlife across the world. 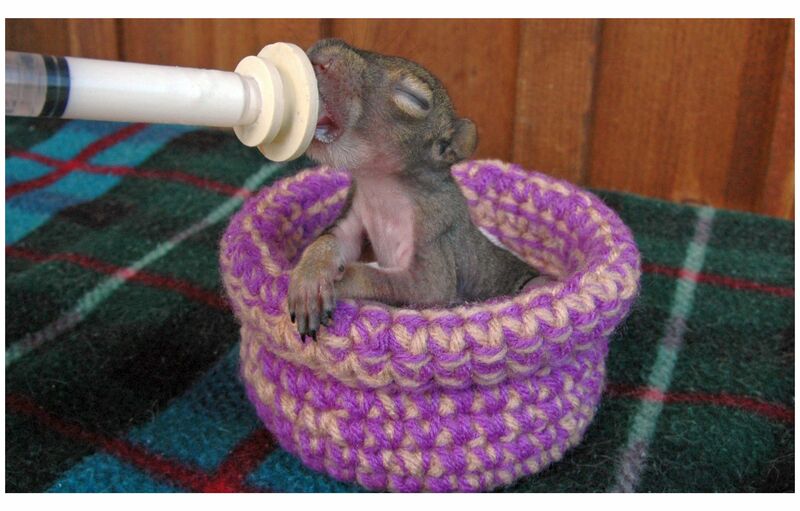 The project provides both knitting and crochet patterns for making a nest and details on more than 170 wildlife rescue centres which volunteers can send theirs to. It also shares piccies from centres so you can see who has benefited from your help! 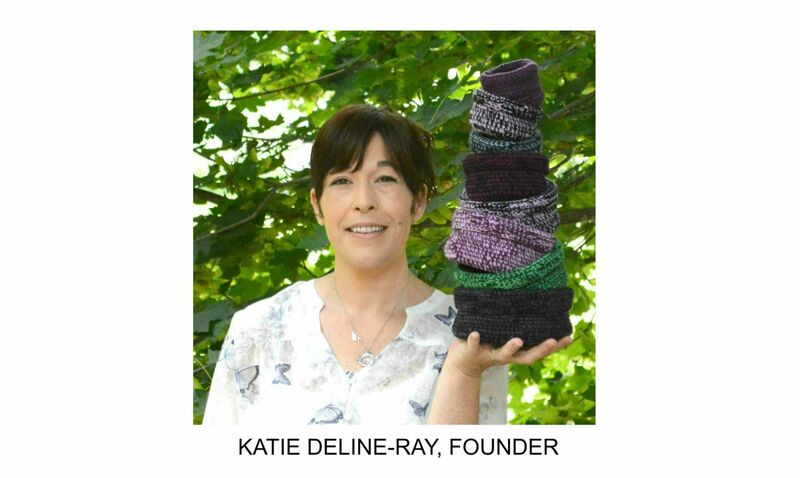 We spoke to founder Katie Deline-Ray, to discuss how she came to set up the initiative. Could you tell us how it all started? It all began when I broke my hand in the winter of 2013. I spent a lot of time online during my recovery and stumbled upon a webpage where someone from the US was talking about some nests they were creating for a local wildlife rescue centre. I thought it was such a wonderful idea that I started searching to see if anything of its kind was set up in Canada. There wasn’t, surprisingly, and that is how Wildlife Rescue Nests was born. For the first six months or so I was only providing nests to wildlife rescues in Ontario, Canada, but decided to start a Facebook page to see if any other crafty people would like to help provide nests. We now provide nests to 170 wildlife rescues in nine countries, including Canada, the US, Ireland, the UK, Germany, India, Africa, Australia and New Zealand. Are there any specifics when making a nest? The key to a successful nest is the tension; the nests must be constructed tightly, with no loose loops. Typically, many centres will line the nests with paper towels so they can be washed easily in-between, but the tight construction helps ensure that no little claws or toes get caught. We haven’t had any issues yet, but have been diligent in telling volunteers about the importance of tension when making their nests. Other than this, the crocheted nests are very easy to make and only involve two simple stitches - a single crochet stitch and a slip stitch. I also have a video tutorial posted on our website and Facebook page. What animals do the nests help? The nests are surprisingly versatile, especially since we have added the new cave nest which is designed for cavity or burrow dwelling animals. Initially, the nests were used for birds and small mammals such as squirrels, bunnies, raccoons and skunks. Since centres have asked for them, we have seen the nests used for bats, hedgehogs, bush babies, wallabies, possums and many others. Demand for nests is high at the moment, as we have added so many new rescues in the last nine months that our current volunteers have plenty of rescue centres to send their nests to. Any crafters wanting to volunteer and help are always welcome, and greatly appreciated. We will hopefully have some time over the winter months to catch up and ensure all the rescues have nests for their spring ‘baby boom’. How many nests have been made so far? Our volunteer count at the moment is estimated to be around 600. This estimate is low because we do not require registration from our volunteers, but offer an event page for them be included in our ‘volunteer count’, and to post where they are from and where they have chosen to send their nests to. I would roughly estimate the donations to be more than 5000 nests! The response has just been incredible. The volunteers are amazing and so generous - quite a few have helped to provide hundreds of nests! The rescue centres have been very thankful and excited for the donations, and are usually surprised to hear that all we ask for is photos of their little ones in the nests. 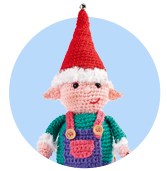 They are shared on our Facebook page and website to promote our cause, and the volunteers love being able to proudly pick out the ones they made. How much work goes into raising awareness? I have put countless hours into building this incredible network of wonderful wildlife rescues and volunteers. It isn’t unusual to spend upwards of 3-4 hours a day replying to emails, sharing photos, adding wildlife rescues to our mailing list and general up-keep. Part of the reason the project is so successful is the social networking, and the speed at which Wildlife Rescue Nests has grown in the last nine months can definitely be attributed to our online presence. What isn’t there to love? I love making nests, love shipping days, love the wonderful photos we receive, love all the incredible volunteers I have connected with, love discovering new wildlife rescues, and above all love that we are helping in some small way to assist the hard and sometimes under-appreciated work that these fantastic wildlife rescues do. I am so incredibly proud of this project that the thought of it makes me want to burst at the seams. What are your hopes for the future of Wildlife Rescue Nests? There are some changes coming to the Facebook page and website that will make it easier to use for our volunteers. I also hope to continue adding wildlife rescues from around the world to our mailing list and recruit more generous people to volunteer and join our cause. This project has grown beyond anything I could have ever imagined, and I am incredibly thankful for all of the support I am receiving from the volunteers. They are the ones that have allowed this project to grow to the size it has. 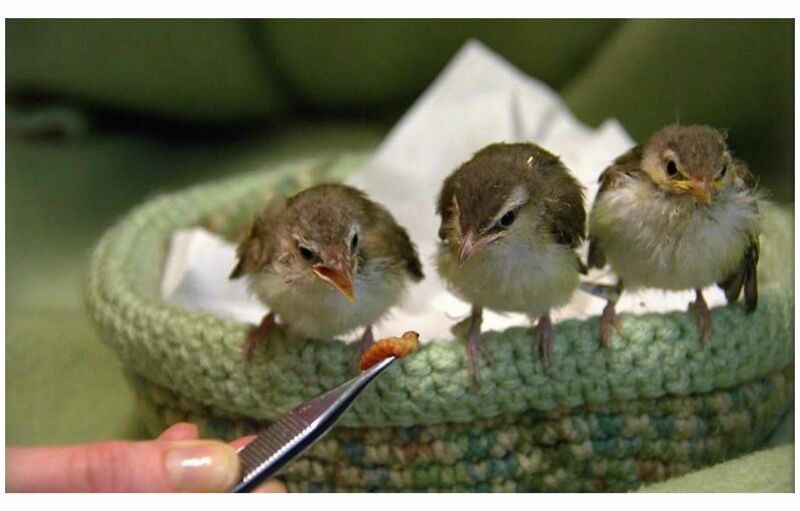 Wildlife Rescue Nests is a non-profit project that encourages knitters and crocheters to make a woolly nest for wildlife across the world.